Stop the Music shared the time slot with The Bergen McCarthy Show and Fred Allen -- talk about competition! However with the eventual decline of popularity with these two radio mainstays, Stop the Music rose to become number two in the ratings. 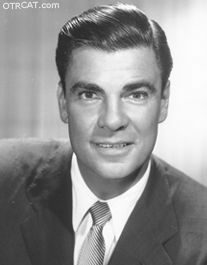 Bert Parks hosted Stop the Music with Don Hancock as announcer. A quiz show, the producers would play part of a well know song and the contestant would try to guess the title for a $50 savings bond or other prizes. Music interludes keep the show entertaining throughout. See also Game Show Collection, Guess Who, and You Bet Your Life as well as the rare game show, Beat the Band. Be the first to comment on "Stop the Music"